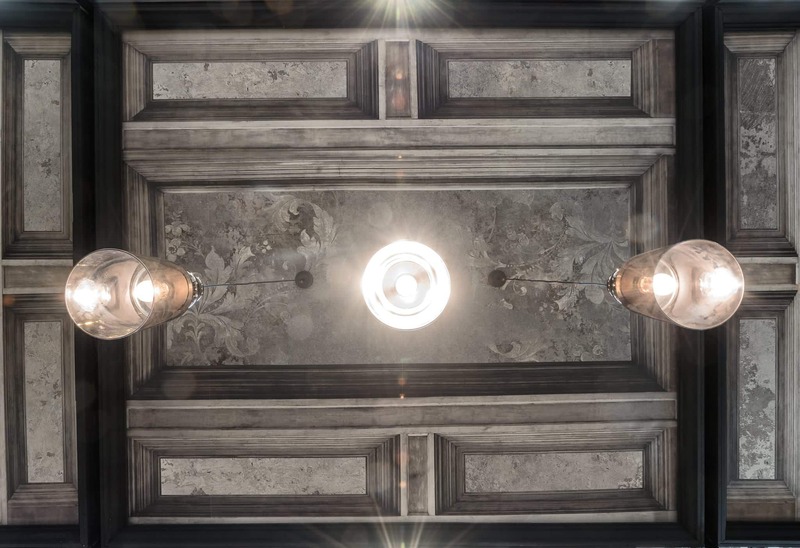 An avant-garde space welcomed guests into the world of Inkiostro Bianco wallpaper design. 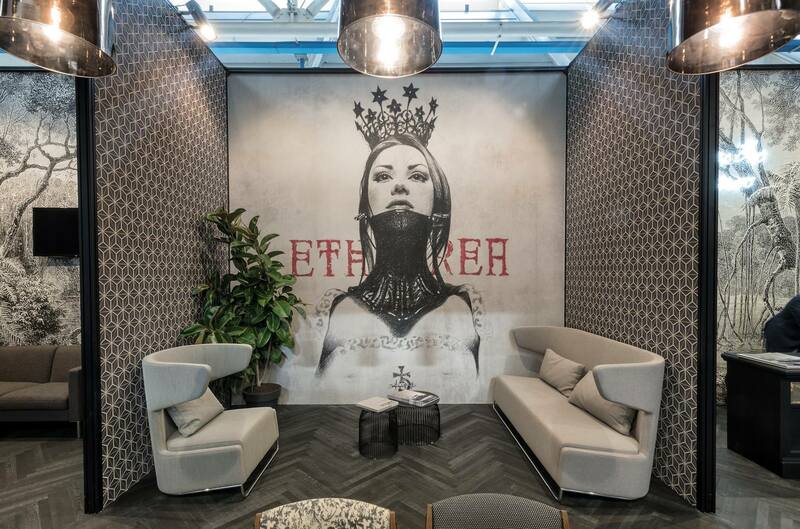 Industry leaders in the creation of eclectic graphic designed wallpaper with more than 400 curated styles printed on vinyl, EQ•Dekor (a glass fiber wall covering for bathrooms, kitchens and floorings), and Canvas, the stretched fabric suitable for temporary set-ups. Inkiostro Bianco explores the world of pictorial art where digital and graphic converge towards original creations with a strong personality. 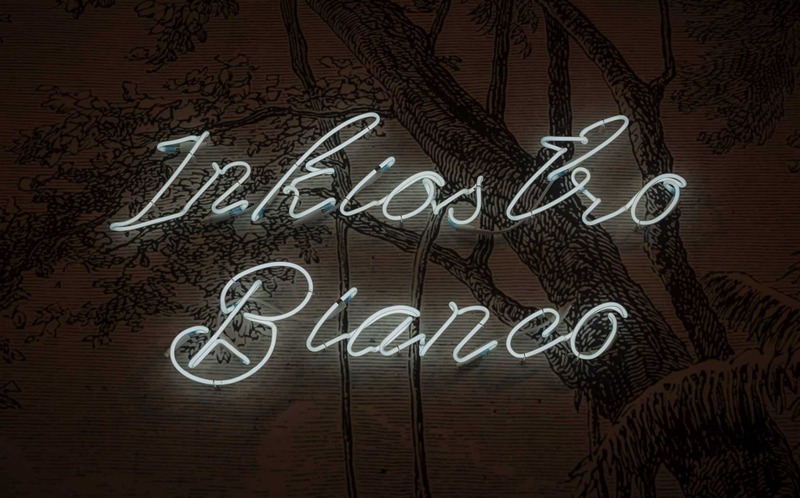 The Inkiostro Bianco brand creates emotional canvases that transform the surfaces into avant-garde pieces. 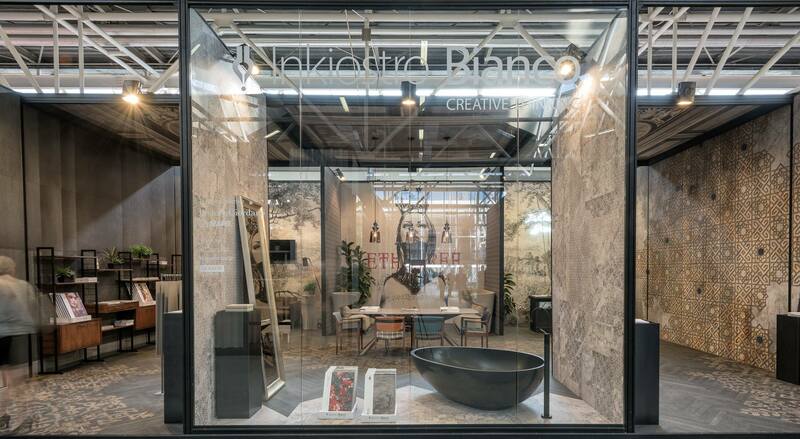 The Cersaie, Salone Internazionale della Ceramica per l’Architettura e dell’Arredobagno is indisputably the most important exhibition internationally for the ceramic sector. With over 110,000 visitors annually and almost a thousand journalists from around the world it has become the platform for new business generation for the 870 exhibitors. Genius Progetti’s 25 year history in stand design and production in closely tied to the importance and growth of Cersaie over the decades. 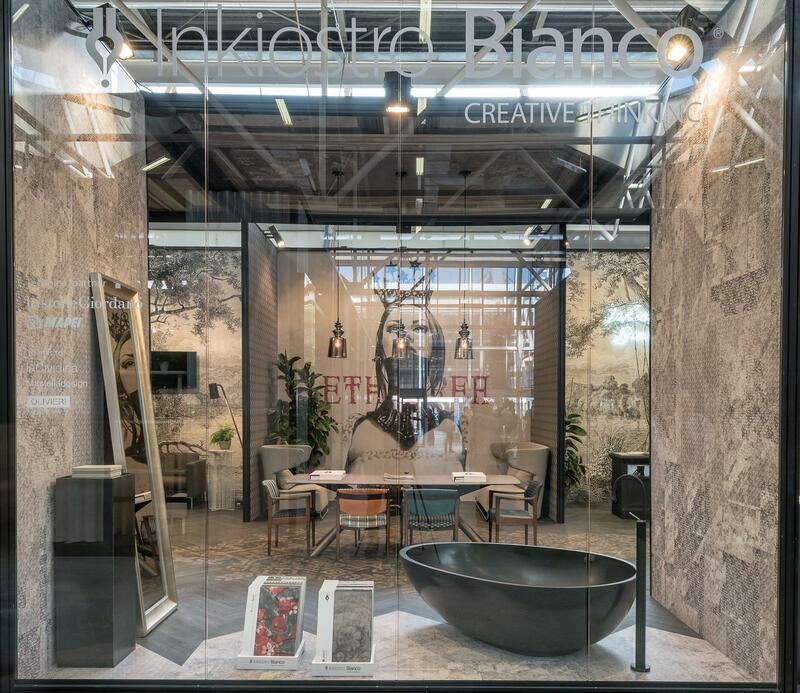 Our offices are in Sassuolo, home of Italy’s internationally renowned luxury ceramic tile industry and the Cersaie Salone finds itself only half an hour away from our offices and stand production facilities. 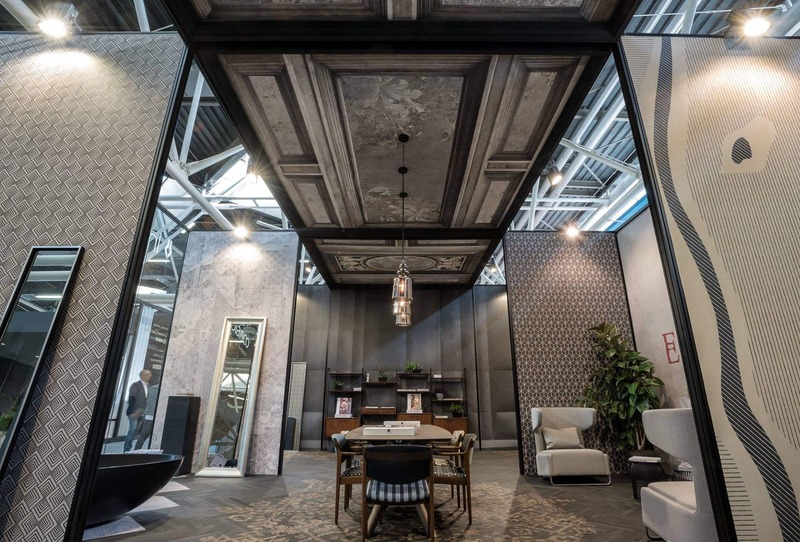 Genius Progetti has completed hundreds of stand projects at the Cersaie Salone Internazionale and designed upwards of thousands….needless to say we know Cersaie!